The “Little city with a big future” has its own dog park! If you live in Sandpoint you may not even be aware that there is a fully fenced dog park within ten minutes. All you have to do is go north out of Sandpoint on 95 until you hit Kootenai Cutoff (Walmart) and turn right. Go past Walmart until you see Pend Orielle Veterinary Services and park in their parking lot. The park is set back from the road and has a few trees where you will see everyone standing in the summers. If your hoping to meet other dogs and you have a dog that does well with others try going around 2:30 – 3:00 on a weekday and your bound to meet some other devoted dog owners. 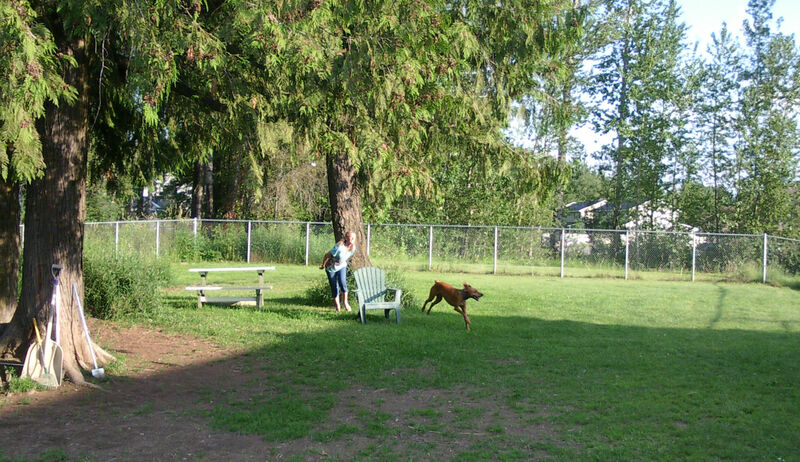 Let us know what your experience was like at Pend Orielle Dog Park and post your photos.